Phonograph made circa 1910 by the Thomas Edison co. 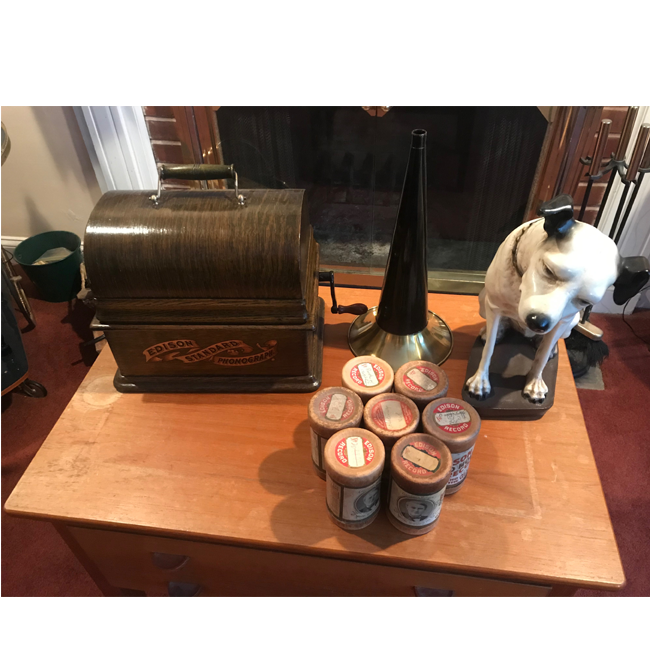 This beautiful machine features the original and complete complete "Edison Standard Phonograph " Banner in outstanding condition. In wonderful working condition complete with 10 two minute cylinders and a reproduction "Nipper" Dog. Although "Nipper" was a "Victor" product he still looks great with the phonograph.